While it is crucial to have a strong understanding of financial markets in order to succeed as a trader, this is not the only, or even most important facet of a successful trader’s repertoire. In order to truly capitalise on the benefits of financial trading, a trader must fully appreciate the importance of psychology in the field. There are many psychological factors that play a major role in deciding on the level of success a trader will experience. This article will underscore the importance of discipline when it comes to trading, and also illustrate the significance of psychology in the financial world. For a trader to find success in the financial market they must think logically and rationally while making any decisions. It is vital that the trader’s decision-making process is not swayed by his/her emotions. Allowing emotion to infiltrate a trader’s thoughts while making important decisions could be detrimental to their success in the financial market. As a result, it is crucial that traders avoid making decisions based on their emotions at all costs while trying to earn profits in the financial market. When it comes to emotions that may affect a trader’s success, there are none more influential and problematic than fear, greed, and hope. The negative role of fear in the financial market is quite straightforward. It is an obstacle that all traders must overcome in order to find success. Fear can prevent a trader from investing in a particular security, or from taking part in a certain trade. Obviously a trader should research the market thoroughly before investing, but that does not mean that a trade will come without any risk. All investing in the financial market involves some form of risk, no matter how much a trader analyses and prepares before taking part. If a trader cannot overcome fear they may find themselves unable to take the risks necessary to find success in the field. 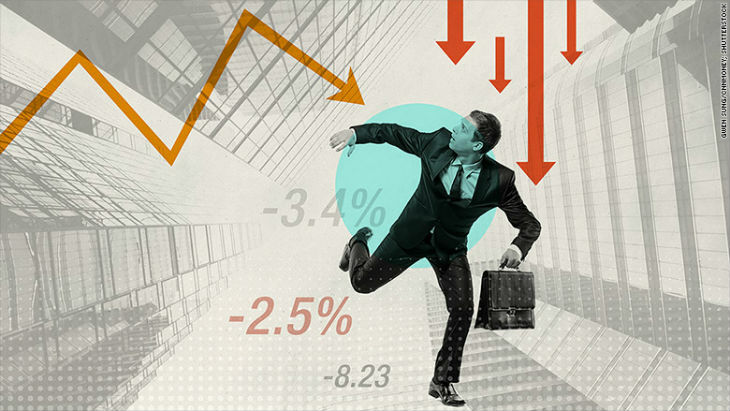 Simply entering the market and investing may seem risky. Similarly, an inability to take risks as a result of fear may cause a trader to sell stock early, before it reaches its maximum potential. However, that same fear may prevent a trader from selling shares and locking in profits at a later time, as they worry its market value will continue to rise. Fear can of course work to a trader’s advantage, leading to them selling a security before its market price drops, however its negative impact on trade tends to outweigh its positive. Hope can have an equally destructive impact on the success of a trader. However, hope’s negative impact is manifested in almost the exact opposite manner to fear. Where fear may force a trader to sell early and lock in profits, hope may prevent a reader from selling a security when all logic suggests that they should. Hope overpowers the previously mentioned beneficial impact of fear and can force a trader to hold on to a security that is destined to lose market value. Hope can convince a trader that their losses may improve and turn to wins if they hold out longer. This can, of course, have a positive effect if the security’s market value does increase. However, hope usually convinces a trader to take unnecessary risks that tend to end in financial loss. Greed operates similarly to hope in the mind of a trader. It can cause a trader to refuse to lock in their profits from a particular security as they hope its market value will continue to increase. Although the desired outcome of trading on the financial market is obviously financial gain, greed can cause a trader to lose sight of realistic goals as they constantly crave more money from trades. These three emotions are historical enemies of traders and can prevent success in the financial market, as explained above. Allowing these emotions to influence the making of a decision can be damaging to a trader’s ability to succeed in the financial market. As a result, it is very important that a trader is in full control of his/her emotions and does not allow them to affect any decision-making. This level of self-discipline is not an easily acquired skill but, if learned, will be the difference between major success and regular failure for traders. A simple method for preventing emotion from interfering with trading success is to ensure all decisions follow a previously established rule or strategy. Strictly following a self-enforced rule that was previously decided on allows traders to ensure that their emotions will not influence any of their decisions. However, to follow a previously defined strategy without going astray requires a significant amount of discipline from the trader. Discipline and self-control, as a result, are two of the most important skills for a financial trader to master. These rules can focus on various aspects of trade. For example, setting a price at which an investor should exit a trade. A trader can decide that if a security reaches a certain market value, they will sell and lock in their profits. If a trader follows this rule, they will not be subject to the negative influences of hope, fear, and greed when they are deciding whether or not to sell a security. Traders can also adopt a “quit while you’re ahead” policy for any given day. They may decide that if they earn a certain amount of money in a day, they will lock in their profits. Conversely, they may decide that if they lose a certain amount, they will cut their losses and start again the following day. It is important to decide on these profits/losses numbers prior to investing. Current events can also form the basis of a useful rule while trading. A trader can decide that if a certain event takes place, either positive or negative, that may affect their security’s market price, they must sell it. Deciding on what these events are ahead of time will allow the trader to make a decision without being influenced by their emotions. Self-control and discipline are two of the most important traits of any trader. Without these, regardless of any knowledge or skill in the field, success in the financial market becomes much more difficult. If a trader has the ability to stick to previously established rules in order to overcome fear, hope, greed, and other emotions, they will greatly enhance their chances of finding success in the financial market. Psychological factors often impact a trader’s success as much, if not more than, the trader’s actual skill and knowledge. It is crucial that traders work to overcome these factors when they first enter the financial market.